A beautiful bold, graphic card! So glad you joined us at CASology this week! Love this simple yet very modern feeling card! Thanks so much for joining us at CASology this week! This is a fantastic card! 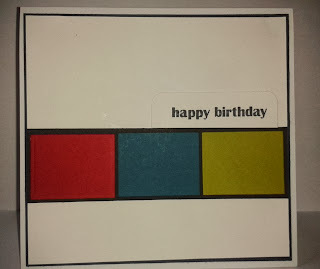 I love the bold blocks of color and yes it is a perfect masculine card. Jenni, fabulous card! It is so striking! Thanks for playing along with us at CAS-ual Fridays! Love the bold and graphic look to your card.